The United States Department of Agriculture (USDA) has contracted Sperry Van Ness/Interstate Auction® to auction nine (9) apartment complexes located throughout Michigan on June 18th & 19th, 2014. The complexes range in size from sixteen units to forty-eight units. 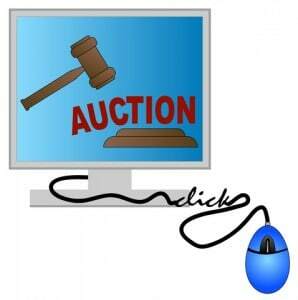 All bidding will be conducted online at www.MichiganUSDAApts.com. The Auction team handling the event consists of SVN/Interstate Auction®, Platinum Bid Auctions and SVN/Gilmore Auction with partners John L. Johnson, CCIM, Jim Vander Veen and David Gilmore, CCIM. Managing Director, John Johnson stated, “Our team is pleased to have been selected by USDA for this engagement and look forward to very successful auctions on June 18th and 19th”. Each property will have two scheduled open house/inspections with guided tours. Interested investors should visit www.MichiganUSDAApts.com for property information, photos, terms, inspection schedules and bidder registration. Founded in 1987, Sperry Van Ness is one of the largest and fastest-growing commercial real estate brokerage firms in the industry, with more than 1,000 advisors in over 150 locations. The firm is built to immediately market every one of its clients’ properties to the entire brokerage community. Sperry Van Ness delivers results for clients through a proven business model that provides advanced marketing and technology tools. Based in Irvine, California, the firm operates internationally and provides brokerage, consultation, asset management, property management, leasing, accelerated marketing, and auction services. Sperry Van Ness transactions total billions of dollars annually in office, multifamily, retail, industrial, self-storage, hospitality and land transactions. SVN Auction Team members are fully integrated with Sperry Van Ness International and the 1,000 member advisors. Collectively, the team boasts more than 100 years of experience in planning, orchestrating and conducting successful auctions and sealed bid sales throughout North America, Mexico, Puerto Rico, and the U.S. Virgin Islands. All Sperry Van Ness Offices Independently owned and operated.